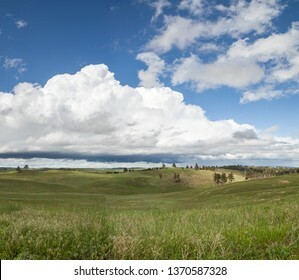 2,317 stock photos, vectors, and illustrations are available royalty-free. 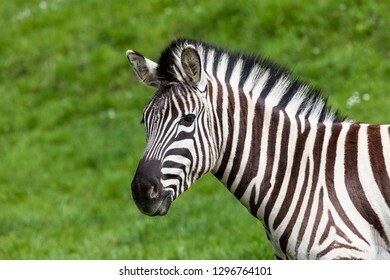 An adult zebra close up profile against a spring green grass background. 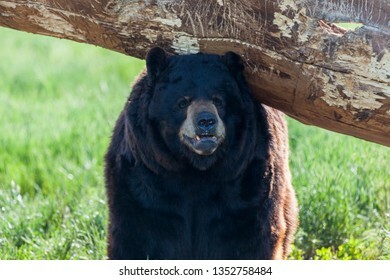 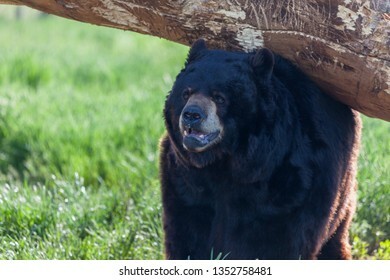 A large black bear standing under a log scratching its back in the spring sunshine. 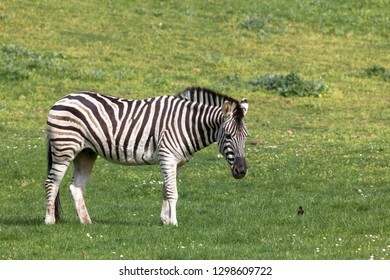 A black and white zebra stands in a spring field next to a small black bird. 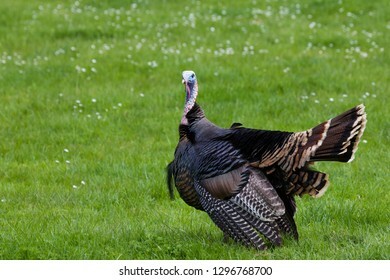 A male turkey fluffing its feathers as it walks on bright green spring grass. 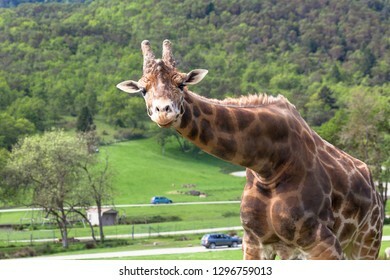 A giraffe bends down to look at visitors in a safari park with cars driving past in the distance. 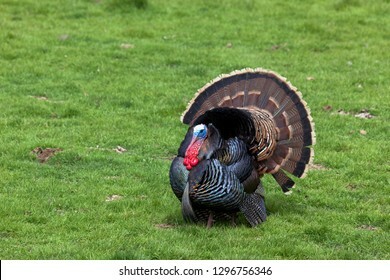 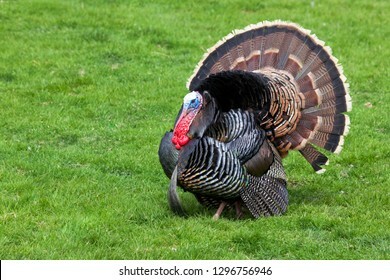 A large male turkey with its feathers spread out walks around on the spring grass. 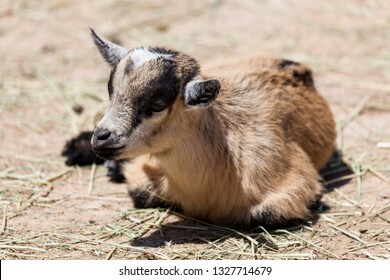 An adorable brown, black, and white baby goat laying on the dirt ground in the sunshine at a petting zoo. 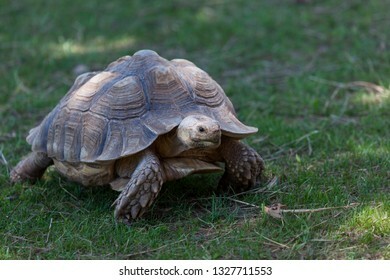 A young African spurred tortoise walking across a green lawn in spring. 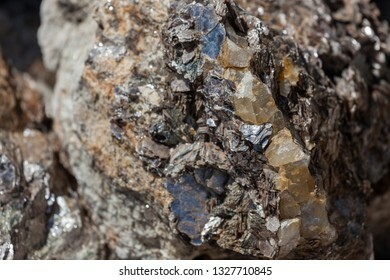 A rock with details of a quartz vein running through a cluster of layered mica flakes. 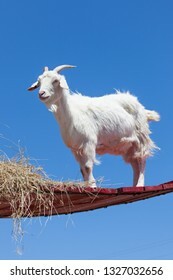 A white goat standing high on a red wooden platform with hay and a background of clear blue sky. 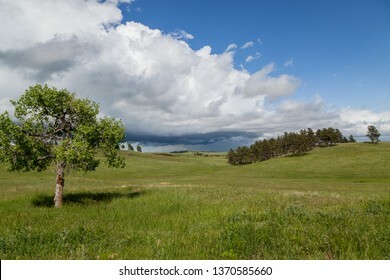 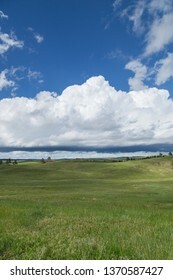 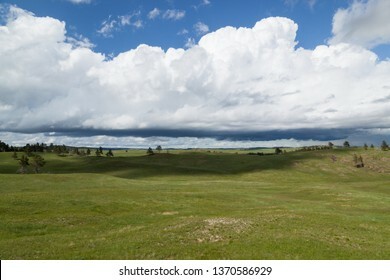 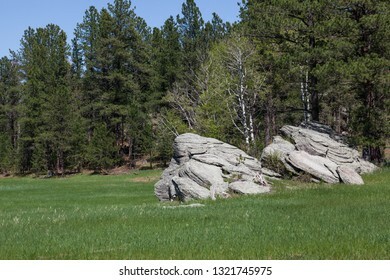 Two circular rock formations in a vibrant green meadow next to aspen and pine trees in the Black Hills of South Dakota. 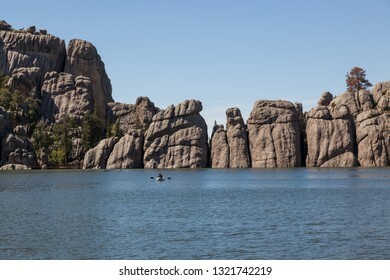 Sylvan Lake in spring with large unique rock formations forming a natural border for the blue waters that are enjoyed by recreationists. 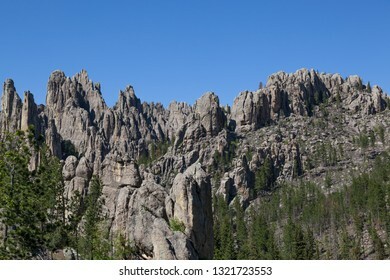 A mountain eroded to expose spires of tall quartz rock among a forest in Custer State Park, South Dakota. 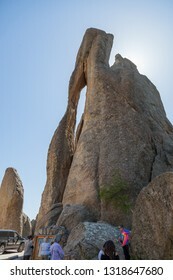 CUSTER STATE PARK, SOUTH DAKOTA - June 9, 2014: People standing at the base of a large rock feature called the needle eye in the Needles and Spires section of Custer State Park, SD on June 9, 2014. 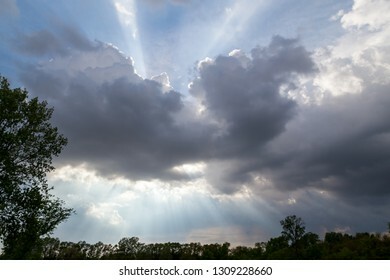 Strong beams of light shine through billowing storm clouds to form a biblical spectacle in the sky. 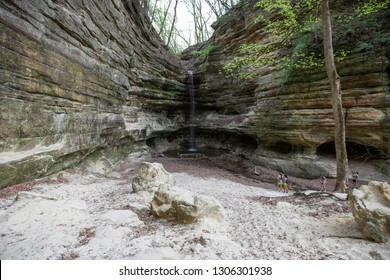 STARVED ROCK STATE PARK, ILLINOIS - May 7, 2014: Four women hiking in St. Louis Canyon to view the waterfalls located in Starved Rock State Park, IL on May 7, 2014. 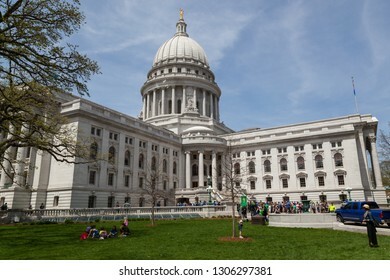 MADISON, WISCONSIN - May 10, 2014: A group of people rally in front of the southeastern entrance to the capital building in Madison, WI on May 10, 2014. 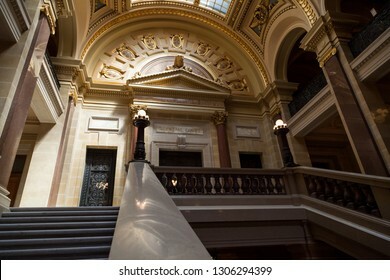 MADISON, WISCONSIN - May 10, 2014: Looking up the railing and stairs to the entrance to the Supreme Court in the capital building in Madison, WI on May 10, 2014. 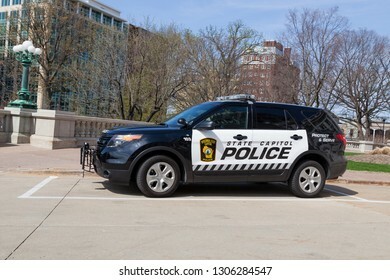 MADISON, WISCONSIN - May 10, 2014: A black and white Wisconsin State Capitol Police vehicle parked at the capitol building in Madison, WI on May 10, 2014. 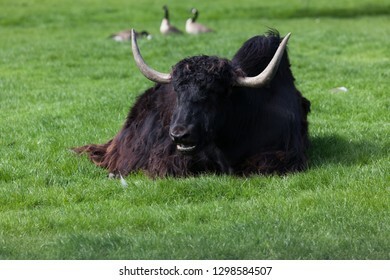 A Tibetan yak is laying in the spring sunshine on the grass with three geese in the background. 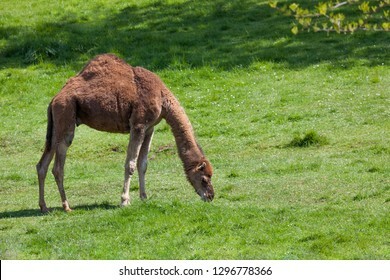 A camel with one hump grazing on spring grass in the sunshine. 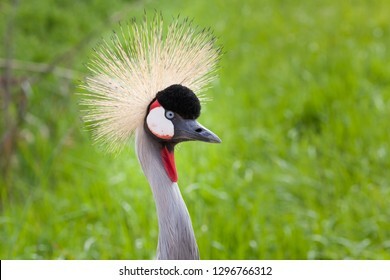 The face of a grey crowned crane up close showing incredible details of colors and feathers. 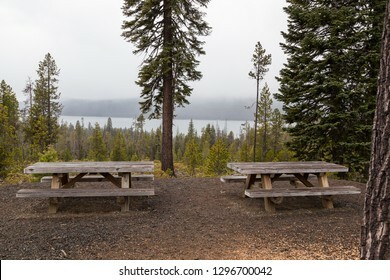 Two wooden picknic tables at a viewing area with Diamond Lake in the distance on a foggy afternoon in Oregon. 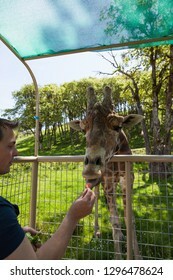 WINSTON, OREGON - April 16, 2014: A man has a close encounter with a large adult giraffe reaching into a tour vehicle to get a snack in Winston, OR on April 16, 2014. 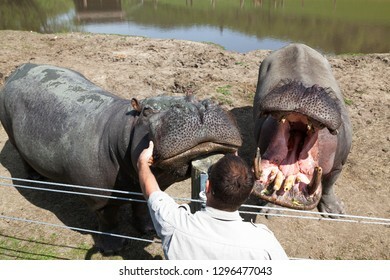 WINSTON, OREGON - April 16, 2014: A Wildlife Safari employee interacts with a large hippopotamus by petting its face in Winston, OR on April 16, 2014. 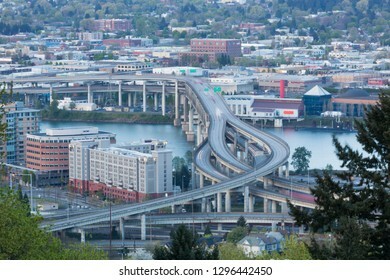 PORTLAND, OREGON - April 14, 2014: The view from Marquam Hill Upper Tram Station of city buildings and Marquam Bridge over the Willamette River in Portland, OR on April 14, 2014. 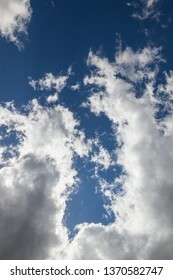 Slow shutter. 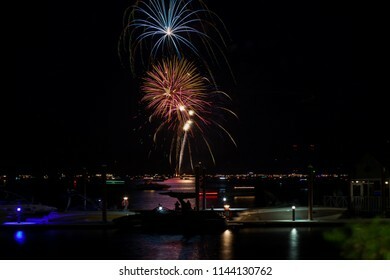 Beautiful Fourth of July fireworks glowing over Lake Coeur d'Alene in Idaho with several boats crowding the water and the dock. 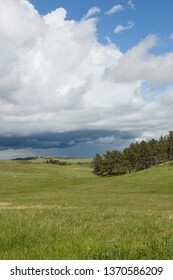 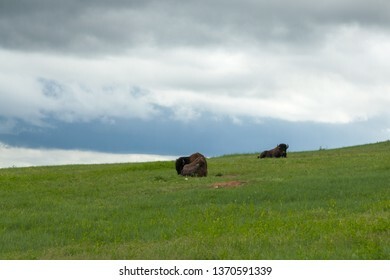 Two large male buffalo or bison are resting on a hillside of green grass and wildflowers with a storm of dark clouds in the distance behind them. 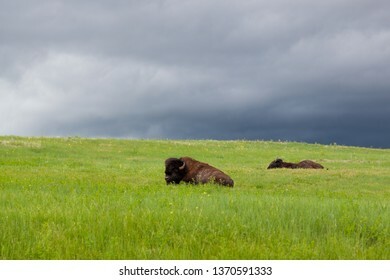 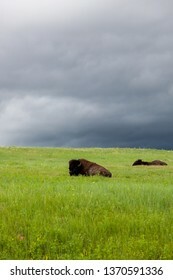 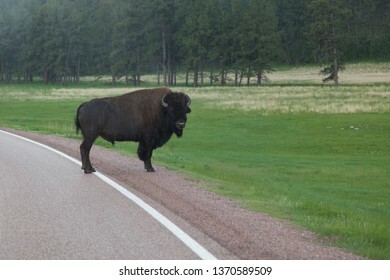 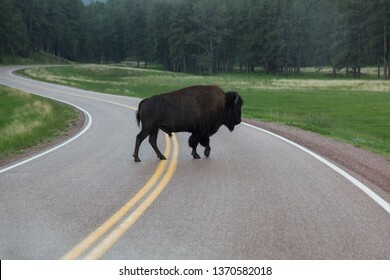 A large male buffalo or bison is resting on a hillside of green grass and wildflowers with a storm of dark clouds in the distance behind him. 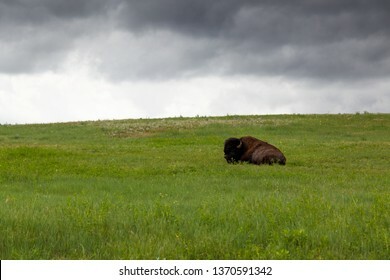 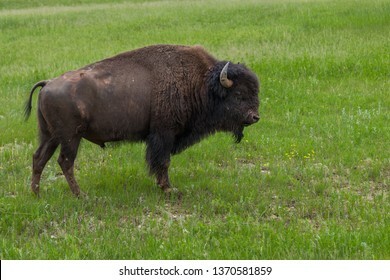 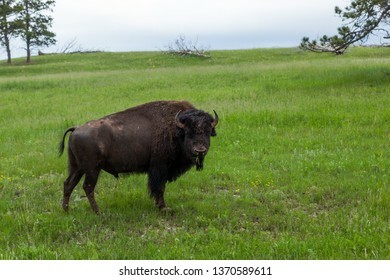 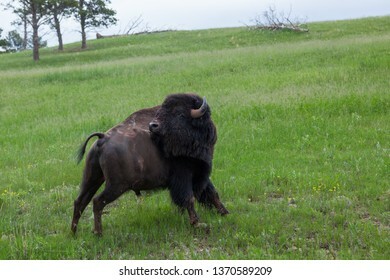 A large male bison with a muddy face standing on a green grassy hillside eating while a storm is passing in the background. 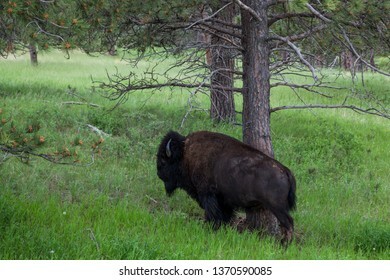 A large male bison bending its head back to scratch an itch looks like it is trying to achieve a yoga pose. 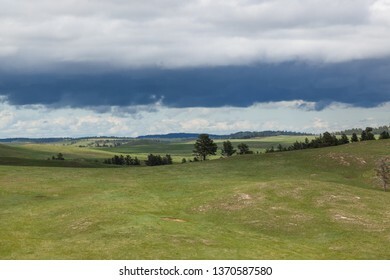 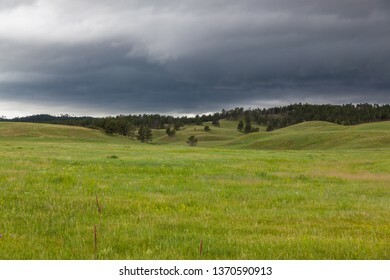 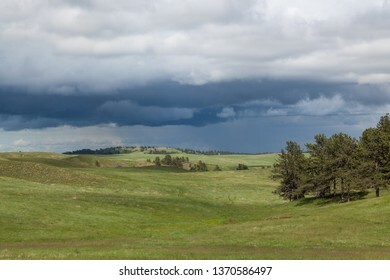 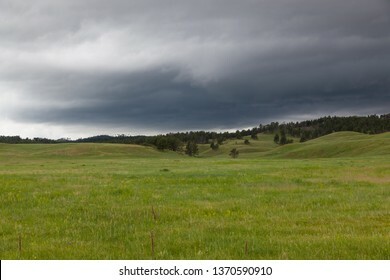 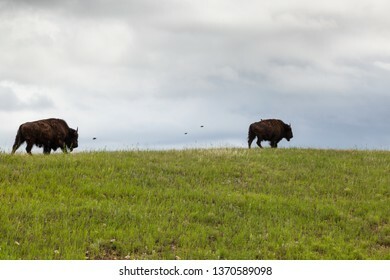 Two bison walking on a grassy hilltop ridge with birds flying next to them with dark storm clouds in the background. 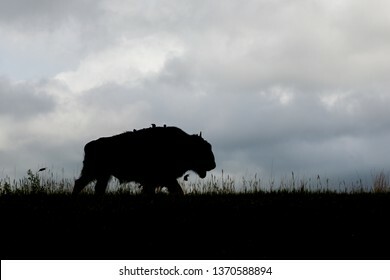 A bison walking on a grassy hilltop in silhouette with four birds sitting on its back with one more flying behind and dark storm clouds in the background. 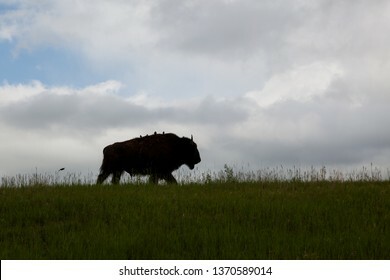 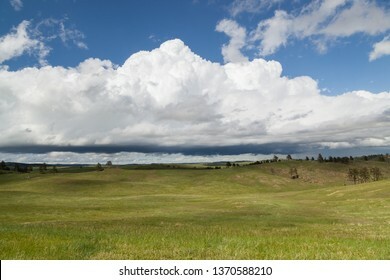 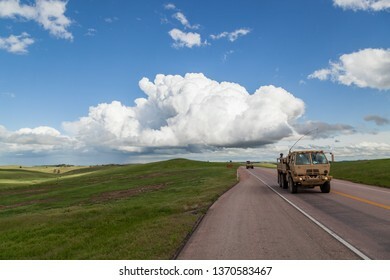 A bison walking on a grassy hilltop with four birds sitting on its back with one more flying behind and dark storm clouds in the background. 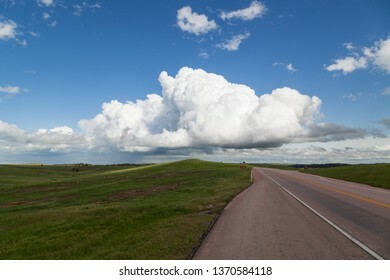 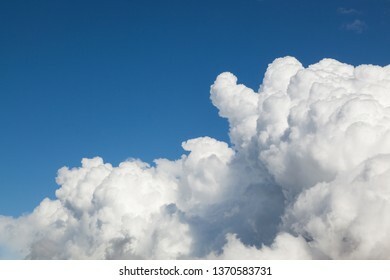 White billowing storm clouds reaching up into bright clear blue sky. 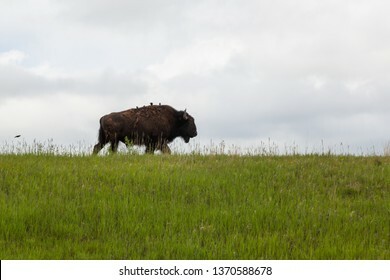 A large male buffalo or bison with a muddy face standing in the green spring grass on a hillside on a cloudy day. 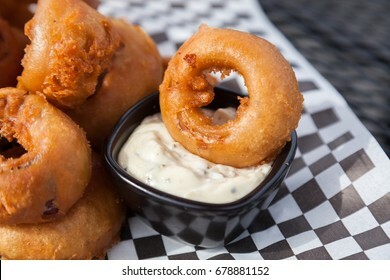 A fat beer battered onion ring resting on white tartar dipping sauce at a patio table. 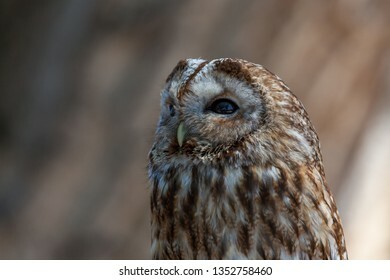 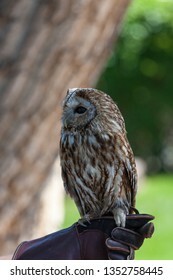 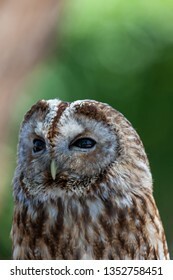 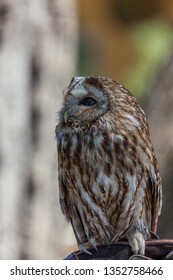 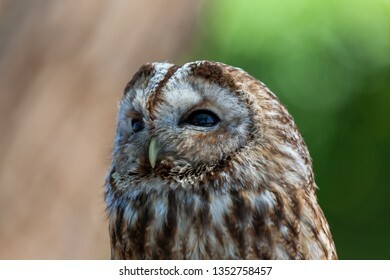 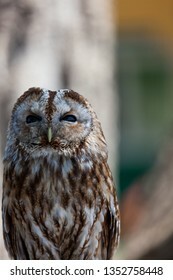 A clam brown and white barred owl rest on its trainers hand at an animal interactive display. 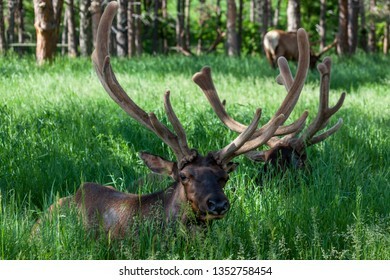 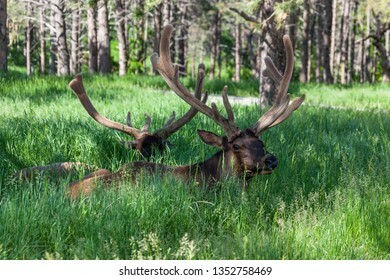 Two large male elk laying in the shade and deep spring grass with tall horns in velvet growing on their heads. 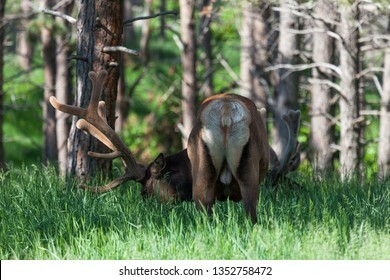 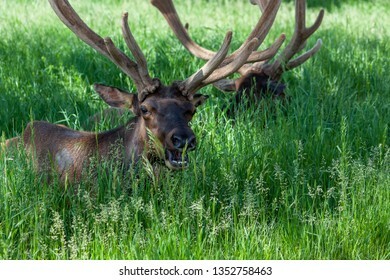 A large male elk with his behind facing outward and his head turned sideways is standing in a forested area eating green spring grass as sunshine reflects off his velvety horns. 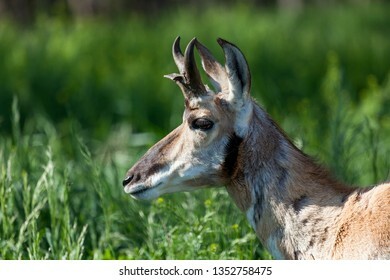 The profile of an antelope with small horns standing in the tall green grass in the sunshine. 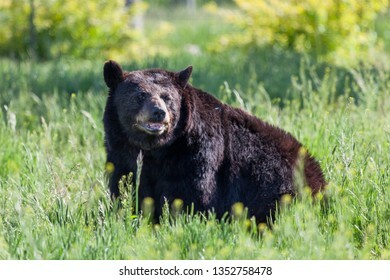 A large old black bear sitting in the sunshine in deep green spring grass. 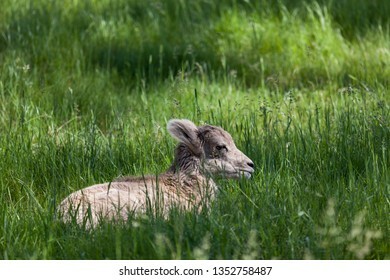 A baby bighorn sheep laying in the sunshine in the tall spring grass. 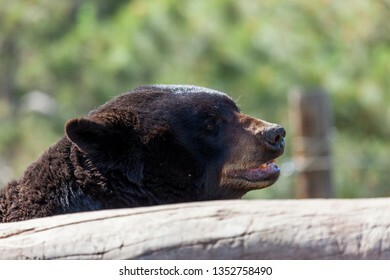 The head of a large black bear looking over a bleached log in the sunshine. 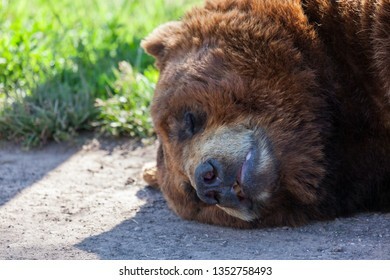 The face of a large brown bear sleeping on the edge of a dirt road in the sunshine in spring. 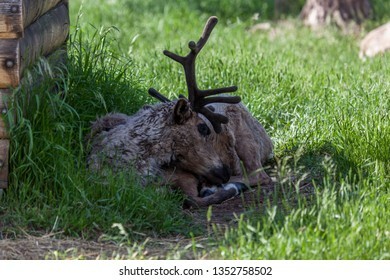 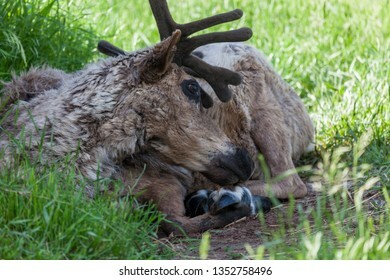 A male reindeer with dark brown velvety horns is laying in the shade among the spring grass. 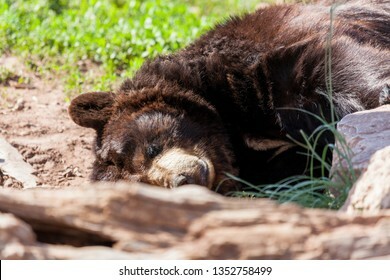 A black bear sleeping by a rock and a log in the sunshine on a spring day with green grass in the background. 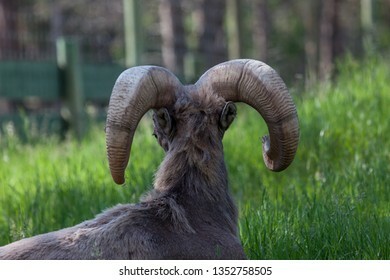 Large ram horns as seen from behind on a male bighorn sheep laying in the spring grass and peeking to the side. 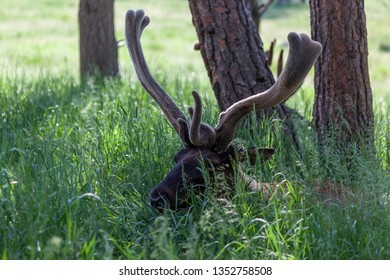 A male elk resting in deep spring grass with only his head and velvety horns sticking out. 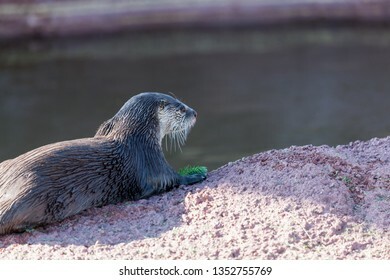 A cute little river otter laying on a rock next to water playing with a small green branch of a tree. 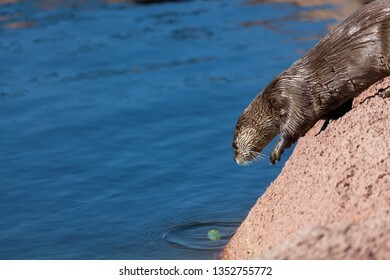 A cute little river otter running on a rock to jump into a pond while playing with a small green branch of a tree. 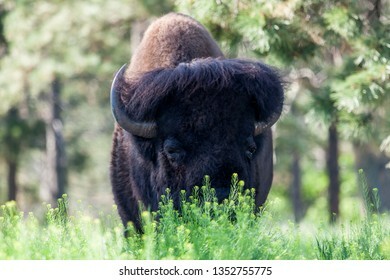 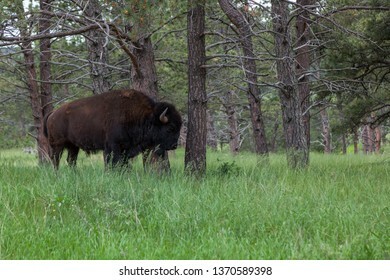 A large male bison grazing in spring greenery with sunshine and trees in the background. 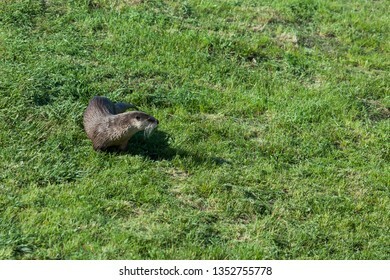 A wet river otter in the spring green grass walking in the sunshine. 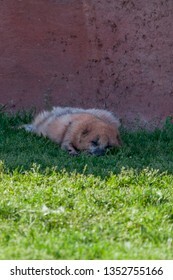 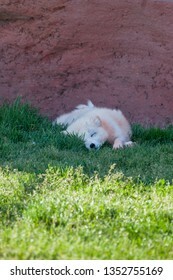 A small dog like fox sleeping in the shade of a red wall on a spring day. 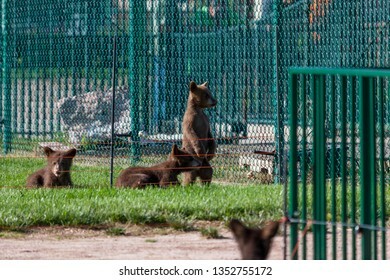 A baby brown bear standing on its hind legs and looking through a fence with other baby bears next to it. 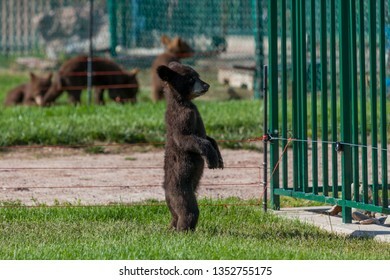 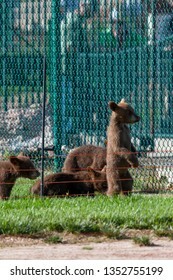 A baby black bear standing on its hind legs looking beyond the fence bars of its enclosure with other baby bears in the background. 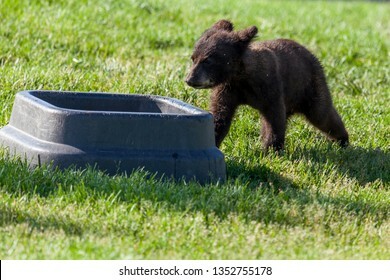 A cute little black bear walking to a food bowl in its enclosure in the spring grass and sunshine. 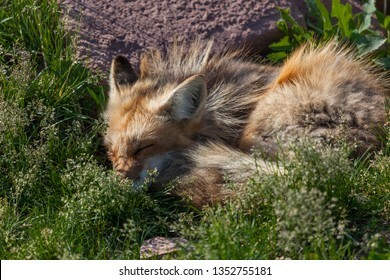 A cute little red fox sleeping next to a rock in the sunshine and surrounded by green spiring grass. 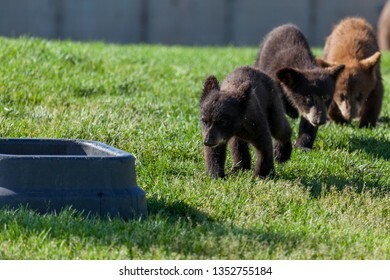 A row of baby bears walking to a large water bowl with sunshine and green grass. 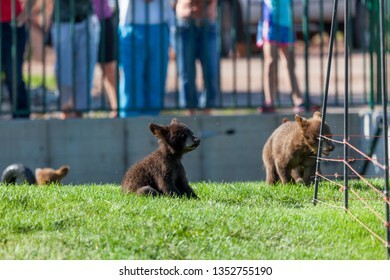 Baby bears looking to a closed off area of their enclosure while people watch their antics in the background. 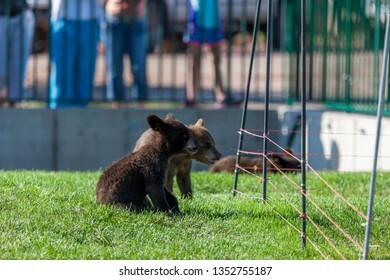 Little baby black and brown bears playing in an enclosure in the spring sunshine with a crowd of people watching in the distance. 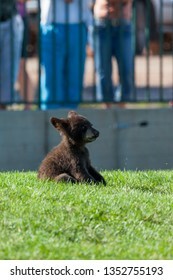 A baby bear sitting in the green grass with a cute expression while people watch in the background. 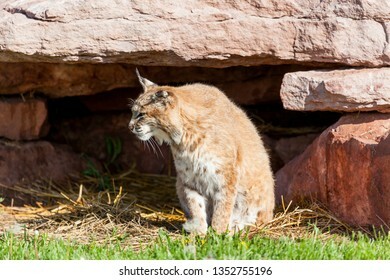 A bobcat sitting in the sunshine next to its den looking to the side. 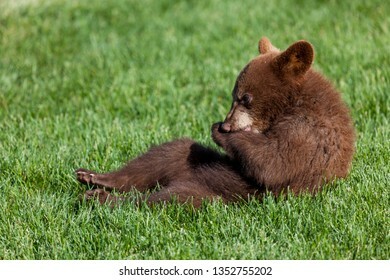 A cute little baby brown bear sitting back in the green spring grass in the sunshine and chewing on its front paw. 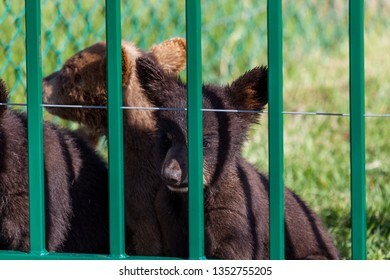 A baby black bear and his friends sitting behind green bars looking curiously ahead in the spring sunshine. 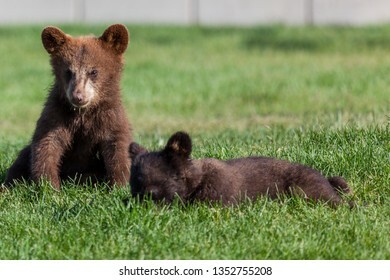 A cute baby brown bear sitting in the sunshine on the green grass with a baby black bear laying next to it. 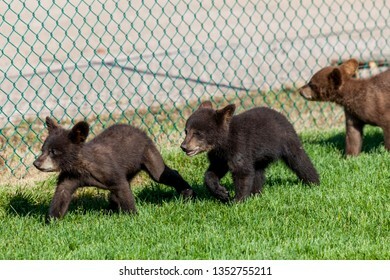 Two baby black bears and one baby brown bear walking in a row along a chain link fence in the green grass and sunshine.